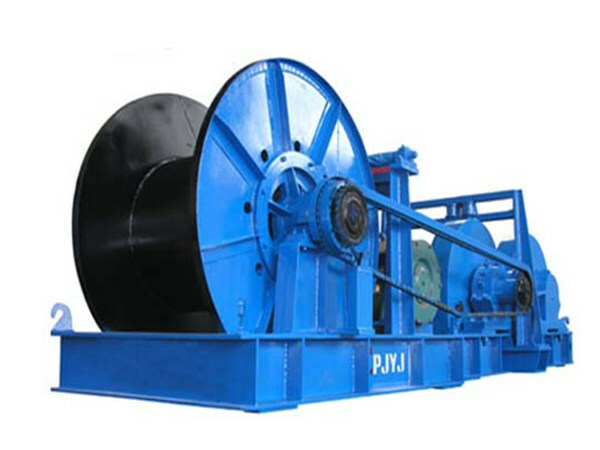 Electric winch mainly consists of electric motor, drive mechanism, and drum or chain wheel. It is a kind of lifting device using drum to wind wire rope or chain in order to lift or haul heavy materials. The electrical winch can be used alone or works as the component of machines applied for lifting, road construction and mine hoisting. 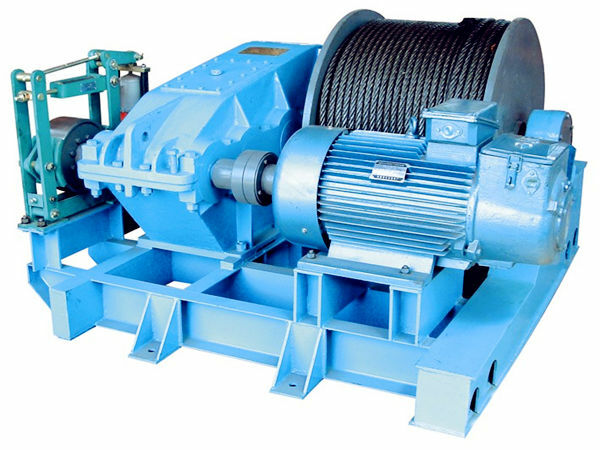 The electric winches are widely used for its easy operations, large rope capacity and easy movement and installation. 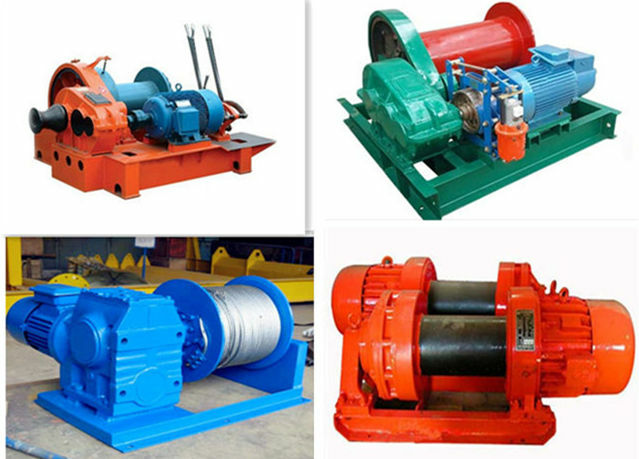 If the winch is divided according to lifting capacity, there are heavy duty electric winch, light duty electric winch, small electric winch and miniature electric winch, and Ellsen has all of the above types of electric winches for sale, and our winches can be customized on request, and the lifting capacities are in a wide range, such as 1 ton winch, 3 ton winch, 5 ton winch, 10 ton winch, 20 ton winch, 50 ton winch, 100 ton winch and so on. If the winch is divided according to the cable speed, there are slow speed winch, high speed winch, and variable speed winch which means the speed of letting in or out the cable can be adjusted according to work requirements. 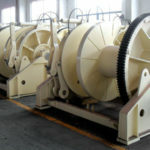 If the winch is divided according to the drum quantity, there are single drum electric winch, double drum electric winch and multiple drum winch (with three or more drums); among these winches, single drum winches and double drum winches are used more commonly in construction, mining and other industries. 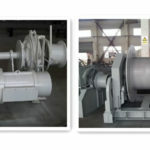 Different types of winches are designed and used on different occasions, and there are construction winch, mine winch, piling winch, industrial winch, scraper winch etc. 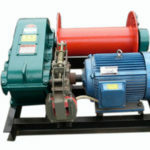 There are also ac electric winches and dc electric winches. According to drive type, except for electric winches, there are also manual winch, electric winch, hydraulic winch and diesel winch. No matter what types of electric winch for sale you need, including cable winch, rope winch, planetary winch, crane winch, drum winch and pulling winch, you can just get a perfect winch solution from our company. Electric winches come in different shapes and sizes and with different lifting capacities as needed. 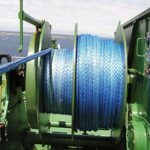 Typically, the winches include a two-speed engine, the cable is attached to a spool which is connected to the motor, and the gear lever turns the spool to pull in or let out the cable to haul or lift objects. Once the cable of the electric winch is extended to the object that is in need of moving or lifting, the gear lever is pushed in the opposite direction of the object, and this causes the spool to wind up, while the spool winds, the cable is pulled back in, which causes the object to be moved safely to the place where it belongs. 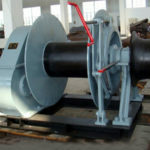 The cable should be arranged in good order on the winch drum, the cable is forbidden to be let out completely, and at least three layers are kept on the drum. The cable cannot tie or twist, and it should be changed if there is something wrong with it. During operations, nobody is allowed to cross the cable; after lifting materials, winch operator should not leave the winch; during the rest time, the materials or the cage should be lowered to the ground. The winch operator should cooperate with signal operator closely during the work process to ensure the safe and reliable operations. If power failure happens during the operations, the power supply should be cut and the objects should be lowered to the ground. The cable should be inspected and checked regularly, and the cable reaching scrapping standard should be replaced in time. The winch cannot be used to lift or lower high temperature object directly, and the objects with edges and corners should be handled with protecting plates to protect them. The winch should not be overloaded, that is to say, object weight should not be greater than the lifting capacity of the winch. After finishing the lifting work, the material tray should be lowered to the floor and the electric box should be closed and locked. Electric winch is a kind of versatile and economical lifting device and it is widely used for different lifting and hoisting operations. Whoever needs winches for the facility and lifting work would like to buy electric winch with good quality and reliable working performance. Remote control electric winch is easy and convenient to operate, which means the winch can be controlled and operated away from the winch with the control device, and the winch control can be wireless or not as needed. When the winch is operated with the remote control, the operator can keep some distance from the winch, which can reduce some risks or damages to the operator in case the winch break down or some problems occur. For a perfect electric winch with wireless remote control or non-wireless control, just choose a winch supplier with good reputation. 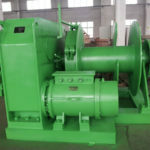 Ellsen Machinery Equipment Company, as one of China electric winch manufacturers, has been in winch business for decades and accumulated much experience in supplying wholesale electric winches. 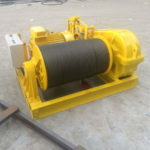 Our electric winch for sale has been highly recognized by our clients from more than 80 regions and countries, including Thailand, Vietnam, Pakistan, Singapore, Malaysia, Australia, Nigeria, Ethiopia, Russia and so on. If you would like to buy electric winches with reasonable price, please just feel free to contact us and we will provide you with suitable winch solution for your choice, and we promise the winches you get from us are with good quality and competitive prices. No matter what kind of winch you need to purchase, it is helpful to do some research online or get some information on the winch from persons who have bought and used the winch. In this way, you will know something about the product in advance. Then, you need to select winch suppliers to send your inquiry on the equipment you need. It is suggested to include the following items in your inquiry: lifting capacity of the winch you need, where the winch will be used and what it will be used for, the winch type you want, for example with single or double drum, rope capacity you need, work speed of the winch and so on. The more requirements you provide, the more detailed price quotation you will get from the supplier. If you are not sure about how to select an electric winch for your facility, please just tell us and we will offer you the most suitable winch solution to suit all your work requirements. For more details on electric winch for sale, just don’t hesitate to contact us, the earlier you contact us, the quicker you get the winch you need.